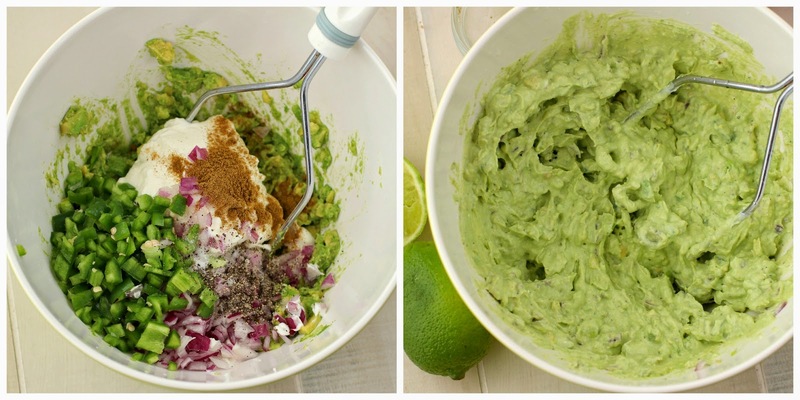 Avocados, how do I love thee... let me count the ways. Actually, I didn't really care for avocados until I was an adult. Now I am a big fan because they give a great creamy texture and flavor to a lot of dishes (especially tacos, chili and nachos). Unfortunately, as much as I am a fan of avocados, they can be a "diva" in the fruit world. 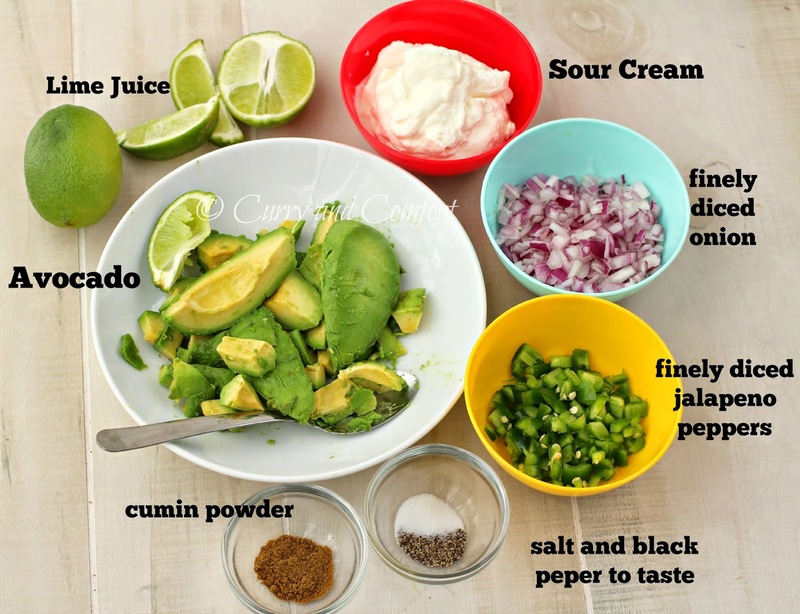 Picking a good avocado that's ready to use is a good skill to have when you want to make some guacamole. I always used to buy bright green avocados because they looked nicer than the darker ones. Then I realized that they were not ripe enough to eat yet. So learning to quickly ripen an avocado is also an essential tip you need to know about. Avocados also have a very short "perfect to use" window. 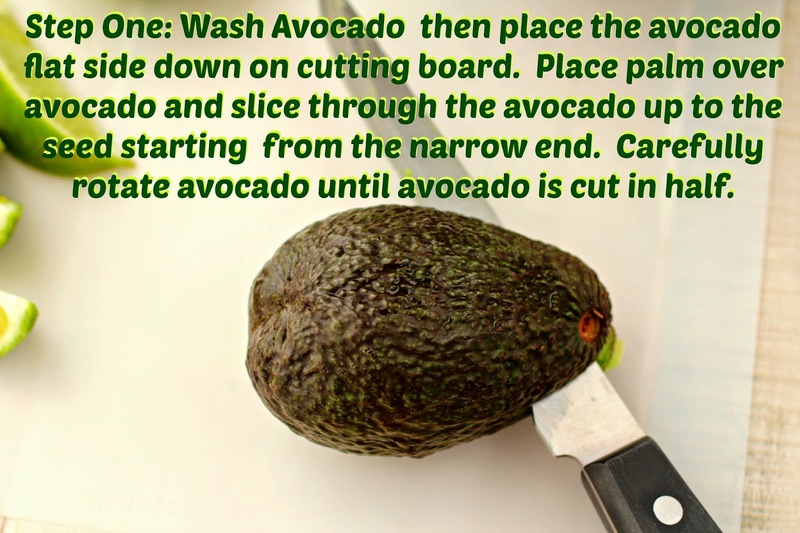 Basically, once it's ripe, you want to use the avocado within a day or so because they become kind of gross on the inside by getting brown/black spots if they are left to over-ripen. It's so disappointing to cut open an avocado and see it all blotchy looking on the inside... certainly not appetizing by any means. 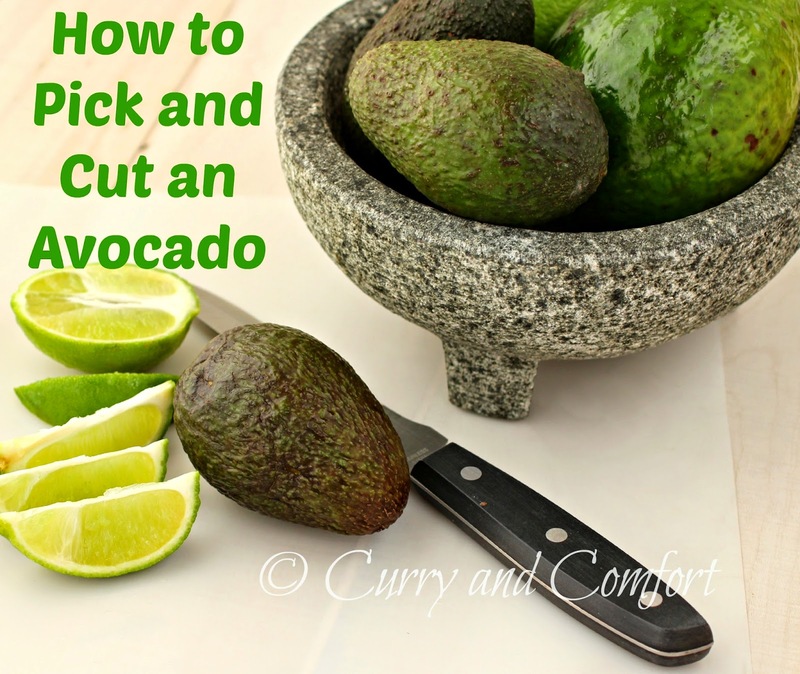 So I did a little research around the internet and watched some cooking shows to gather a few quick tips and tricks to help you pick a ripe avocado and how to cut it easily. 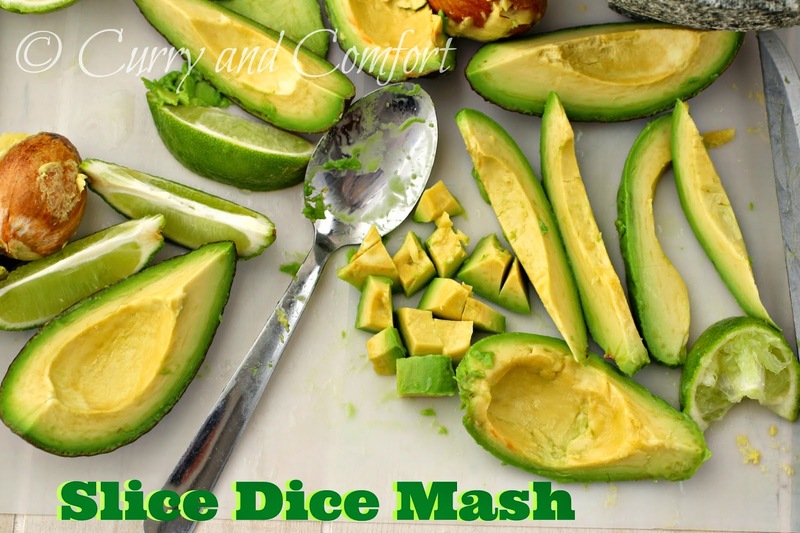 I really like the method of quartering an avocado so the seed comes out easily and you can easily scoop out the flesh to slice, dice or even mash it. 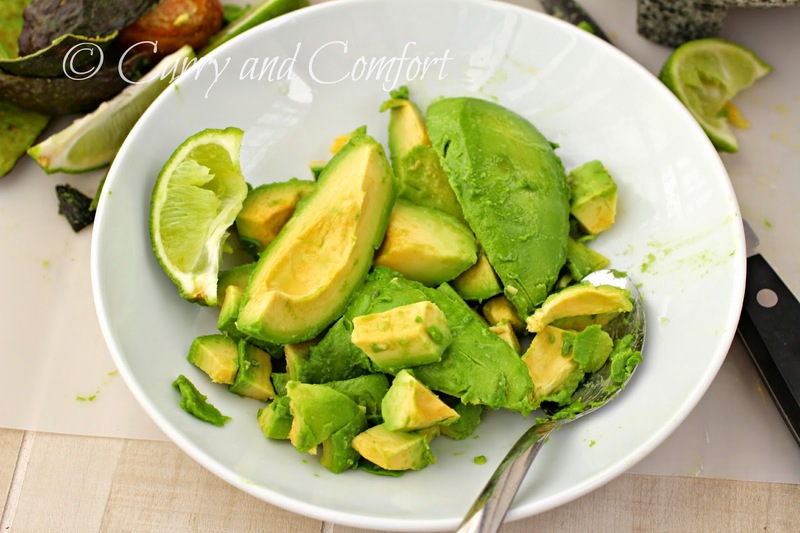 I hope these tricks and tips will help you in your quest to enjoying more avocados in your life. 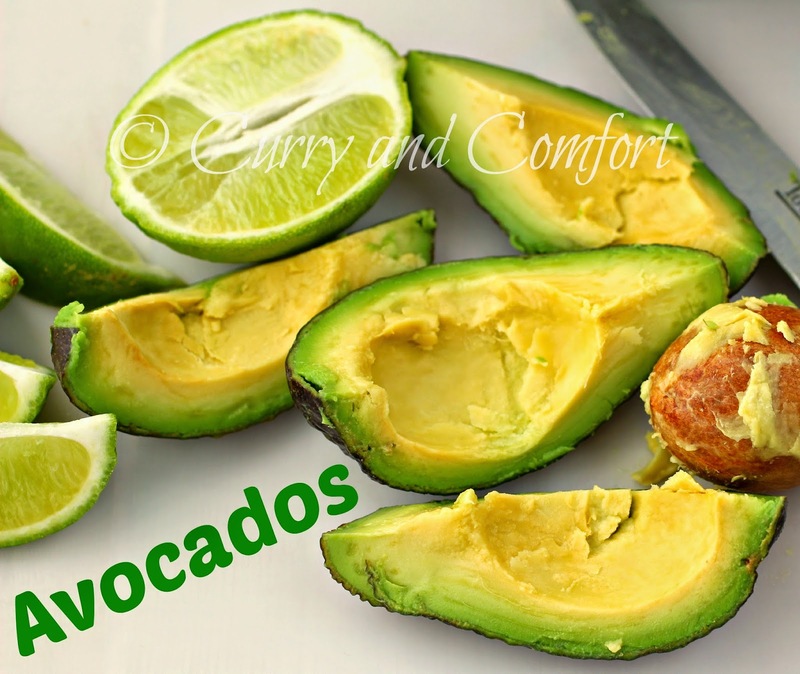 Bright Green = not ripe yet -buy these if you don't need to use your avocado immediately. Dark Green/Brown that feels slightly soft when you give a little squeeze= ripe avocado. Use in a day or two. Very dark Green/black avocado that feels mushy = DO not bother buying. 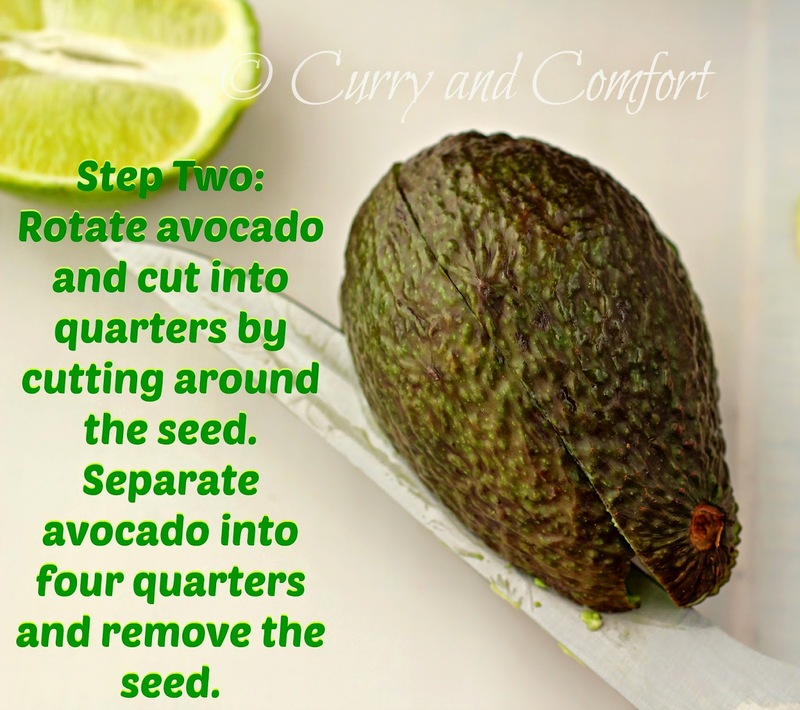 Remove skin and seed from the avocado. 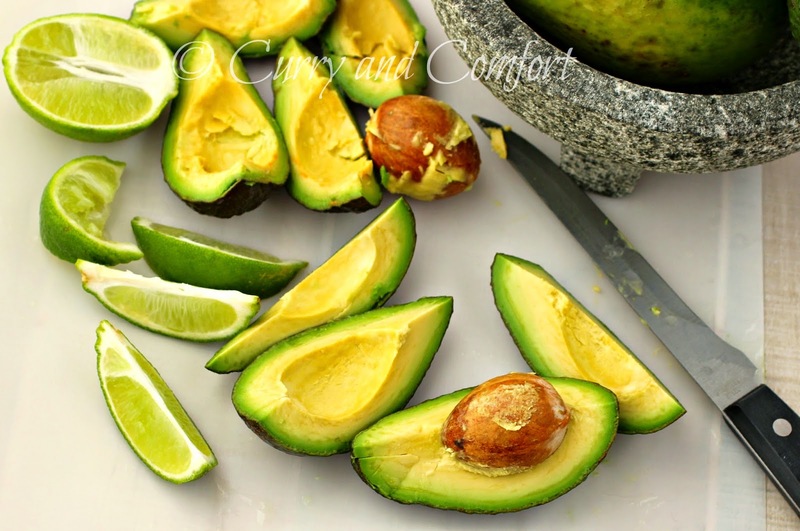 Squeeze a little lime juice to keep the avocado from browning. Diced the onion and jalapeno finely. Remember to remove the seeds from the jalapeno to control the spice level. Next add the sour cream. Then season with cumin powder, salt, black pepper and lime juice to taste. Mash all ingredients with a potato masher until creamy. 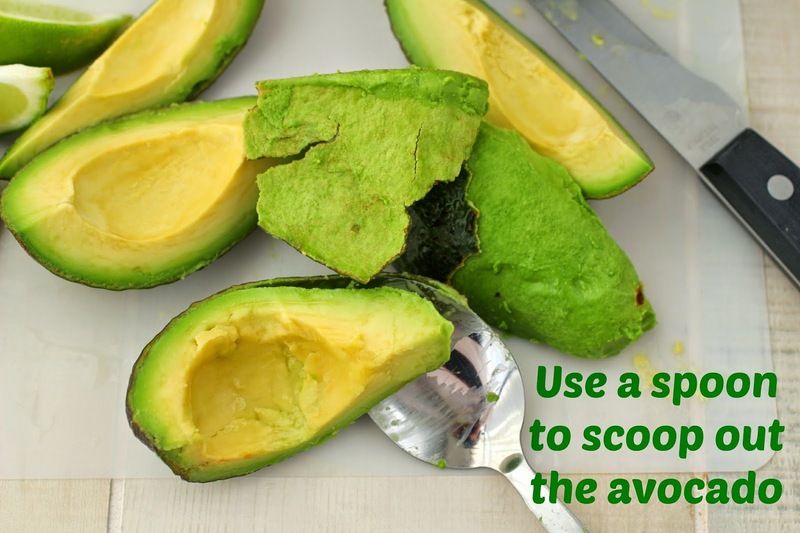 Serve immediately with chips and crackers or refrigerate with a layer of plastic wrap pressed against the dip to keep air from browning the avocados. If I remember correctly, keeping avocado next to banana helps somehow too but I am not sure if it slows the ripening or accelerates. Sometimes avocados barley take a few hours before they turn bad here n the humid tropical climate. Can be quite frustrating. Thanks for your useful tips Ramona! Great tips!! Like Jess, I've bought a lot of very green and over ripe avocado over the years, only to toss them in the compost. I did just by a bag of 6 avocados and got lucky. Only one bad one. I will be applying some of this tips, so thanks! I was also an adult before I came to appreciate avocados. Can't tell you the amount I've wasted buying overripe ones!